Why do you garden? Is it for the peace and serenity? Maybe it’s your refuge from other parts of life. Or maybe your garden gives you an innate sense of well-being. Just being outside with nature makes us feel wonderful, but our gardens are that extra special place where our creativity increases and our minds can be free. This is a place where we recognize our desires for a mutually beneficial relationship with all of nature, the earth and its pollinators. Several years ago, I had an extraordinary experience in my own organic garden. After traveling extensively for about three weeks, I returned home from a 20-hour flight, many waiting periods in over-warm airports and what seemed like a very long taxi ride. I had to get outside to just breathe, stretch and clear my head. A warm afternoon in June, a quiet neighborhood and standing underneath a blossoming peach tree made my mind clear. My breathing slowed and I completely relaxed, leaving the world of travel long behind. I felt I was actually part of the still, fragrant air. It was then that I realized I was surrounded by butterflies! I was in the eye of a swirling column of butterflies from the ground up into the air past the tops of the trees. I stopped moving, and almost stopped breathing to become perfectly still so the butterflies would stay. We were attuned to each other, attuned to the energies of the surrounding garden. Everything in nature is connected and all of nature communicates with vibrational energy that the human brain is not aware of, but the body is. Louie Schwartzberg, the famous videographer, has told us, “Eighty percent of the information we receive comes through our eyes. For example, if you compare light energy to musical scales, the naked eye can only see one octave, and that octave is right in the middle.” Getting the controlling brain out of the way and allowing the pure sensory of the body allows that subtle connection with those other octaves. As we allow ourselves more time in our gardens, we innately and unknowingly collect that energy, and it rejuvenates us. Think about yourself in your garden, especially in the mountains. There’s that perfect stillness and then the gentle sound of the wind as it blows through the trees. Or, when you lie in the grass and look up, you feel you are part of the sky. This is when you become aware of the energy that surrounds you. You relax and that sense of well-being washes through you. Finally, wonderfully, you connect with nature. If we take clues from our surroundings, we can create easy-to-care-for, sustainable gardens that will connect to that dynamic ecosystem of the forest. Mountain gardens are particularly exquisite; they are surrounded by forests full of ecological life. Sustainable, healthy gardens begin with recreating wonderful organic soil. Forest soil is naturally full of all kinds of organisms like bacteria and fungi—an entire interconnected ecosystem that starts in the ground and continues up through the roots of the trees. Many of our home gardens have depleted the natural organics of the original soil through the use of chemical fertilizers and pesticides in a misguided effort to make gardening easier. But these chemicals literally create dead soil by killing all these ecosystems that create and sustain life. Soil is not a product in itself. Soil is the byproduct of a balanced, healthy ecosystem in which flowers, shrubs and trees can grow. We can rejuvenate our soils by adding forest compost, which is full of decomposing leaves, pine needles and wood, and the addition of aged manure applied in winter, before the first snow of the season. The continually changing winter temperatures of cold and warm cause the deep percolation into the ground and better decomposition. Winter is the time when the beneficial bacteria and fungi can build just as they do within the natural rhythms of the forest. That fine balance that supplies the nutritional needs of the plants happens when your garden becomes rich in organics. You’ll begin to recognize that it’s only when a garden (or forest) is out of balance due to nutritional deficiencies that pests increase and attack. As your garden increases in living, organic health, everything you plant becomes healthy and vibrant. The vibrational energies increase and soon your garden will begin to attract all the pollinators you were hoping for. 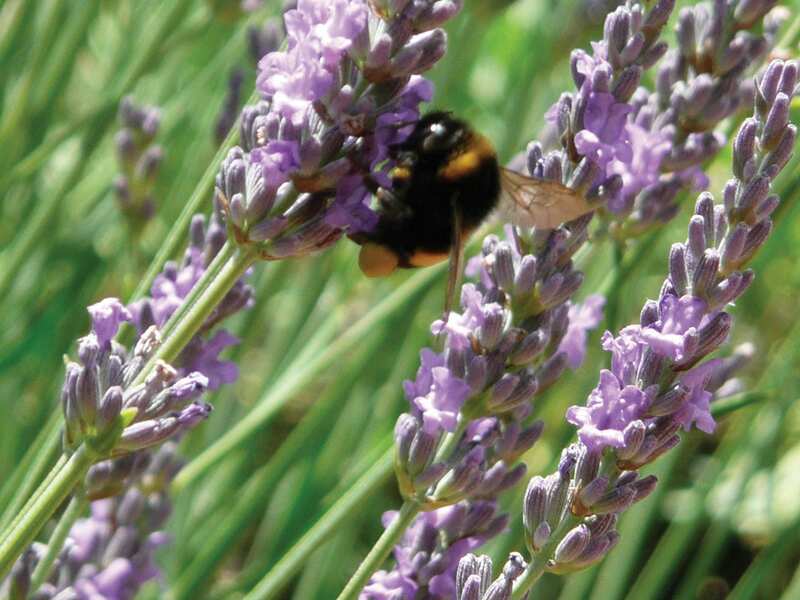 Birds, bees, butterflies and other beneficial insects communicate with these systems and with each other, because there are healthy nectars and pollens for them. Throughout the winter months, as your garden lies dormant on the surface, there is always plenty of food, whether it’s from the fresh beneficial insects that come out of hibernation in the spring or in the dead of winter from the seed heads that have been left peeking out of the snow. As you become attuned to nature’s rhythms and reconnect to its energies, you’ll notice a change in your own health and life focus, too. You’ll experience that rejuvenation of spirit. You’ll have less stress and your creativity will return. It’s very simple. What you need are the same things your garden needs—a lot of water, good organic food, sunshine and fresh air. Rumi, the thirteenth century Persian poet, stated, “Just being in a body is sentient, and a state of rapture. Just being here is cause for celebration.” Let’s celebrate our mountain gardens. Let’s celebrate us. Tova Roseman is a horticulturist, an organic health and wellness educator and speaker, and nationally best-selling author. Those looking for an inspirational, thought-provoking expert for a keynote address or conference workshop may contact Roseman through her websites, tovaroseman.com or tovasgarden.com. 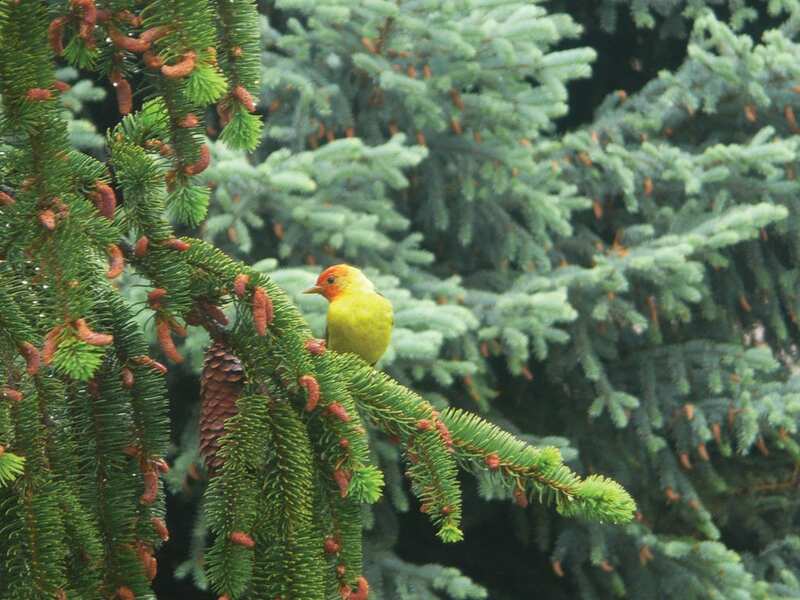 That’s a Western Tanager, not a finch. It’s the mascot bird of the Tahoe Institute for Natural Science, so we’ve received a surprising number of emails and Facebook posts about this photo. Lots of comments about not discussing the benefits of gardening with native species too. Hey, at least a lot of people are reading the piece!